The communication that was sent to members of 1Law4All by the four resigning Board members on the 19th of August is so misleading and deceptive that it demands a reply. 1Law4All was formed in the autumn of 2013 for one purpose – to stand candidates at the 2014 election. It was agreed that none of the other parties was prepared to give this vital issue the priority that it demands. It was also noted that there were already other organisations, such as the NZ Centre for Political Research, that promoted this cause, but outside the political arena. The whole aim of 1Law4All was to take this issue to the coal face of politics by standing candidates at the 2014 election. Thus the statement in the late Board’s communication on the 19th August – There was never a commitment to standing candidates as an end in itself nor as a means to establish a profile for the party is untrue. That was the very reason that the Founders established 1Law4All – we were there! Tom Johnson, the recently resigned Party President, was at that original Founders’ meeting and has known all along that the Party’s objective was to stand candidates. Indeed, at the Party’s AGM at Napier on the 25th May, 2014, Mr Johnson stated in his report to members, by registering as a political party we will at the very least provide disenfranchised voters with somewhere to put their protest vote on 20th September. How could disenfranchised voters make their protest vote if there were no 1Law4All candidates and no 1Law4All box to tick on the ballot paper? And why else would anyone establish a political party if not to stand candidates? 1Law4All’s two largest membership areas are Hawke’s Bay and Bay of Plenty. There is also a group in Wanganui and all three areas have held several meetings to discuss the issues pertinent to the party and local strategies. After meeting expenses such as hire of the venue have been paid, all donations and membership fees gathered at their meetings have been counted by at least two scrutineers and paid into the party’s bank account – an account that none of these groups have access to. As these groups had no access to the party’s bank account, procedures for financial oversight had not been seen as a priority and for the resigning board to make innuendos about financial irregularity is mischievous in the extreme. In its communication to members on the 19th of August, the defecting Board members said that no one had formally applied to be a candidate. How formal is formal? At the time Tom Johnson endorsed the statement that nobody had applied, he had personally received and passed on a Candidate application form from a Coromandel-based member. He also knew there were several other members willing to stand as candidates and he knew their names. One candidate had even taken the proactive step of having a police report conducted on himself. So while only one formal application was pending, the Board knew that others had their applications at the ready for as soon as the Board required them. Without any commitment from the Board, there was no point in them applying for a non-existent candidature. That David Round had agreed to be No. 1 on the 1Law4All Party list was conveniently not mentioned. To say that nobody had applied to be a candidate while with holding the information that several were willing, was a half-lie, which, as all propagandists know, is usually more effective than a full lie. 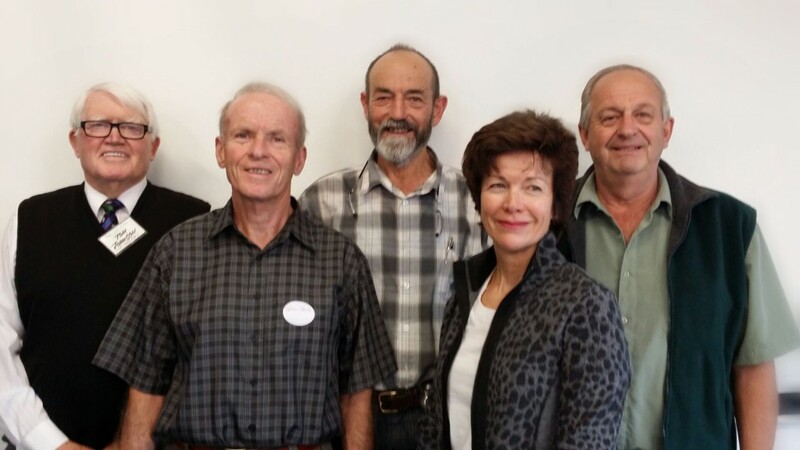 At 1Law4All’s AGM in Napier in May a new Board was elected by members. Each prospective Board member was asked to say a few words about who they were, what their background was and what skills and experience they would bring to the 1Law4All Board. At no time during his introduction did John Bell mention his latterly revealed intentions for the Party. Had he done so, we have to wonder if he would have been elected at all. Bell was for many years an ardent member of the National Party. Since joining the 1Law4All Board on the 25th of May 2014 his behaviour suggests that he could well be a National Party plant, whose task was to prevent 1Law4All standing candidates so as not to take party votes from National. In an email to John McLean, Bell wrote: There is a long history in this country of small, single-issue political organisations foundering on the reef of grandiose but deluded ideas pursued by a few misguided individuals who have the arrogance to imagine that their self-inflated ego is greater than the cause they claim to espouse… In terms of political strategy and organisation, you are utterly inept and appear hell-bent on providing a further example to add to the already pathetic list of well-intentioned failures. It is obvious from that email that Bell does not believe in the Party’s aim, arrogantly believing, like so many politicians do, that he knew better than the Party members did, and just what was good for it. He cannot complain that he is suspected of having an ulterior motive. Fiona Mackenzie’s claim that she provided professional and responsible management of 1Law4All is belied by the excessive caution and general negativity that has marked her tenure on the Board. If there is a small reason for not doing something positive – no matter how remote or unlikely that small reason might be – Fiona was likely to be the one who would find it. She was appointed to the Board on 22nd January, 2014, when the re-convened Founders’ Meeting gave the Board, as a priority, the long delayed task of registering the party. This process takes about six weeks and yet Fiona was instrumental in delaying it for six months. Professional and responsible? She also consistently opposed the standing of candidates, thus contributing to the present impasse. Now she has joined in sabotaging the party by resigning without co-opting others to the Board to ensure a smooth transition. She insulted four of our members who were prepared to stand as candidates by describing them as a ragtag list. She is the last person who has the right to accuse others of being messy. (b) determine and approve finally all Party policy, having first taken into account such views of members as have been made known to it but which are not inconsistent with its Principle and Objectives. When the other members of the Board voted by majority to not stand candidates for the 2014 election, Perry Spiller viewed that as a complete reversal of the Party’s Principle and Objectives and believed that consultation with members was the only legitimate action the Board could take before making such a decision. The Board rejected this, with Bell reportedly stating: we were elected to govern, thus ignoring Rule 9. And woe betide anyone who dares to disagree with John Bell. Perry knew this was ethically wrong and would also make the Board no different to all the other political parties who would not consult with – or listen to – their members, or to the people of New Zealand. Wanting no part of this unprincipled decision, Perry tendered his resignation from the Board a few days later, sending his resignation email to the then President, Tom Johnson. Subsequently, Perry was made aware of the decision by two of the Party’s Founders to call for a Special General Meeting – something that is the democratic right of every member to participate in. However, Perry realised that, under the Rules, for any General Meeting to take place, two of the Party’s Officers must attend, so as to ensure a quorum. As he and Tom Johnson were the only officers on the Board, if Perry’s resignation was confirmed, then the SGM (or any General Meeting of members) could not proceed as proposed. For this reason Perry again e-mailed Tom Johnson, rescinding the date of his resignation until after any Special General Meeting so that the meeting could proceed with the necessary number of Officers required for a quorum. Perry not only had every right to do this, but it was also the responsible thing to do for the Party, remembering that any position on the Board is a voluntary and elected position, not one of employment. Therefore, his position on the Board remained fully legitimate. The outgoing Board members claim to have not seen his email rescinding the effective date of his resignation and state that they accepted his resignation at a Board meeting on the 13th of July. Mr Johnson has been unable or unwilling to explain why he did not pass the rescinding email on to the other Board members. However, as he did not pass on that email, and as the Board’s purported acceptance of Perry’s resignation was made without full knowledge of the circumstances, and, as notice of acceptance of his resignation was not communicated to Perry, his standing on the Board is and always has been legitimate, whether the outgoing Board members like it or not. Right from the start, the Board was made aware of the decision by John McLean and Bill Matches to exercise their right to call for members’ support for a Special General Meeting. Perry told us that he suggested to the Board that they needed to have a contingency plan in place for what they would do, should the required number of signatures be obtained. However, Perry also mentioned to us that – to his knowledge – no such plan was ever made. Subsequently, it seemed that the Board did everything it could to frustrate members who had validly sought a Special General Meeting pursuant to Rule 20. Click here to read the full text of those e-mails. The Board said that it asked Bill to convene a sub-committee tasked with reporting to the Board plans for standing candidates. That arrogant and condescending e-mail was merely a delaying tactic to stifle Bill Matches and so he ignored it. It was clear that the Board had no intention of changing its stance, so why waste time playing the Board’s games? On Saturday, 9th August, Perry and Brenda Spiller visited Tom Johnson with all the signed paper requisition forms of the people voting for the SGM. When the forms were offered to him for inspection, Mr. Johnson declined to inspect them, delaying the matter by saying that the Board would have to verify that they were correct. Accordingly, that was arranged for Wednesday, 13th August. Board members Tom Johnson and Collin Blackman were presented with all the paper and electronic votes for the SGM that had been received, so they could verify them. Everything that was needed to verify that the count was correct was provided including a laptop computer connected to the database, a spreadsheet of members who had voted, all paper votes sorted into alphabetical order, etc. Messrs. Johnson and Blackman refused to verify the votes! So the part of the letter to members that says that Perry had chosen to not hand over, for independent verification, the evidence he had for the 25% of 1Law4All members voting in support of an SGM appears to be a lie. Blackman and Johnson did take the printed spreadsheet away with them so they could easily have verified the numbers by accessing the membership database on their own computers – had they had any desire to do so. Nobody has worked harder behind the scenes for the party than Perry and Brenda Spiller who, unlike the new Board members, have kept in close communication with many members through the IT work necessary for running the database – no mean job – processing membership applications, renewals and donations then sending those details to the Treasurer, providing regional organisers with contact details for local members, keeping the database up to date, managing the web site and its blog, plus social media like facebook and twitter, as well as sending out the (paper and electronic) newsletters and notices to members. This is highly specialised work and the Spillers have voluntarily carried it out flawlessly, for many months. After the decision to not stand candidates, in his (later rescinded) letter of resignation Perry said that he and Brenda wanted to be relieved of responsibility for the database and web site from 2nd August, but this was later extended in his e-mail to Tom Johnson, rescinding the date of his resignation. Despite that, full access to the database and web site software was given to the Board’s Napier-based IT nominee, intended to replace them. After the members themselves, the database is the party’s biggest asset. When Perry and Brenda were told that the Board’s IT nominee had no knowledge of the database or web site software, they became very concerned at the risk involved in handing IT management over, without providing some basic training that ensured that the person understood how to use and maintain it. And with good reason. They had spent Christmas and New Year learning the software and creating the new membership database from scratch, after the previous system became corrupted. The Board did not arrange for any such training. Nor did the Board or it’s IT nominee ascertain any details relating to the offshore web site and membership database hosting server, which is what supports the membership database and makes the web site available to view on any Internet-connected computer. On the morning of 8 August, when they started to process membership renewals, the Spillers found they could not. After a brief assessment of the situation, Perry presumed some software fault, so spent some 3 to 4 hours doing what might be described as a system restore that allowed he and Brenda to continue with routine web site and database maintenance. However, they subsequently discovered that the problem they had encountered had been caused by a Board instruction to its untrained IT nominee! That only confirmed their concerns about handing over the management of the database and web site, before proper and adequate training had been arranged by the Board. Was it coincidence that the fault or ‘crash’ happened the day after the Board was informed that the number of votes necessary to requisition a SGM had been achieved and recorded in the membership database? Perhaps – by that action – the Board hoped to make it even more difficult to verify the number of SGM requisition votes? Or to manipulate the membership database records so it could say that the necessary number of votes had not been achieved? That will never be known and certainly not admitted, of course. There was never any suggestion that Perry and Brenda would continue with their management of the web site, social media and membership database for any longer than necessary. Further, in the Board’s preoccupation with doing everything they could to frustrate members’ call for an SGM, any administrative arrangements for dealing with the original membership forms, Party stationery and the like (held at the Spillers) were totally overlooked by the Board. Does that sound professional and responsible? The Board’s understanding of the present situation is that ongoing access to the database and website could be compromised unless the Board agrees, without the due process of a Special General Meeting, to reverse its legitimate decision . . . by . . . contesting a General Election . . .
That so-called understanding with its could be with the implied blackmail inference is a fabrication to justify the Board’s dereliction of duty resignation. Perry has assured us that no such thing was ever so much as hinted at or mentioned to any of the Board members. Indeed, we know that – at the Board’s instruction – Perry and Brenda sent out at least two electronic and one paper-based members’ newsletter, despite completely disagreeing with the 1Law4All wont stand candidates content of those communications. If anyone, it was the resigned Board that was doing all it could to avoid the due process. The insults, innuendos and character slurs that the Board members have cast upon Perry tell us more about their characters than his. We have worked with Perry and Brenda for more than a year in the important cause of advocating the cause of One Law For All. We can honestly say that there are no two people more dedicated or more principled than the Spillers. Collin Blackman and John Bell joined the Board in May 2014. At that stage, Tom Johnson and Perry Spiller remained the only ‘original’ Directors, and, (together with Brenda), original Steering Committee members. Perry and Brenda have been supporters and a driving force for 1Law4All, even before its inception. Perry had secured (and paid for) the necessary domain names and Brenda had the website up and running before the Steering Committee’s second meeting, on 16 May 2013, in Auckland. By contrast, Bell and Blackman had just over one month’s Board tenure, when they voted to not stand election candidates, contrary to the avowed intention of the Party. That the Board unnecessarily and mischievously gave out Perry’s private contact details without his permission is indicative of the spite and vindictiveness that seems to have infected the Board since the arrival of Mr. Bell of Waimate. Spite is one thing, but sabotage is quite another and that is what the ex-Board members stand accused of by resigning en masse, without first co-opting others on to the Board so as to ensure continuity and avoid creating a vacuum. Even though there were four members prepared to stand as candidates for the Party List, they must be approved by the Board in order to comply with Electoral Act requirements. However, by resigning without co-opting a sufficient number of others to take their places, Johnson, Bell, Blackman and Mackenzie have – no doubt deliberately – ensured that there can be no Board to approve a Party List until a new Board is elected at an SGM. Because 21 days notice must be given for an SGM, it will be far too late to submit a Party List to the Electoral Commission. That list needed to be submitted by 12 noon on 26 August. Anticipating the possibility of the Board resigning, John McLean had earlier suggested to some Board members that, in order to avoid a vacuum, the Board should co-opt others and he said that names of those willing to serve would be provided, if sought. Instead, the then Board members chose their sabotaging tactic, thus making it impossible for 1Law4All to submit a list of candidates for this election. Their actions show their contempt for the wishes of over 25% of the Party’s members whom they dimissed as a small, vocal minority of agitators. The Board had the option of graciously accepting that their decision was out of step with members’ wishes, and agreeing to stand candidates in the September election. That would have been the most adult and responsible response to the SGM requisition numbers. Instead, they spitefully decided to sabotage the wishes of members who supported an SGM, making it impossible to stand candidates. By resigning as they have, they have not only frustrated members’ wishes, but have shown that they lack the moral fibre to face Party members at an SGM. However, the defection of such an ineffective and obstructive Board should only be of benefit to the party in the long run. We look forward to the SGM at which a fresh Board is elected. One which has the fidelity and strength of purpose to pursue 1Law4All’s objective with the sincerity and dedication that it deserves. As the Annual General Meeting was held in Hawke’s Bay, the Special General Meeting will be held in Tauranga, on the 23 and 24 September, when we will have a clearer idea of what the new Parliament will look like and so be better able to plan for the next three years. However, it will be up to members at the SGM to decide what they want the Party to do. Despite being prevented by the outgoing Board from carrying out the party’s primary 2014 purpose, as well as the wishes of over 25% of members to stand candidates, we have good cause to applaud the party’s achievements so far. By bringing the issue to the fore by adverts in local papers and the distribution of 154,000 brochures to households, we have ensured that this issue has stayed alive. Now, the principle of One Law For All has been taken up by three parties contesting the election – NZ First, ACT and the Conservatives. How long for is another mater, of course. There is a lot more work to be done, such as increasing the membership so as to be a force to be reckoned with in the future. This has been a learning experience for all of us and one big lesson is to make provisions in the rules and in party governance to ensure that the Board will never again be captured by people whose intentions are not aligned with the Party’s founding objectives and principles. We thank you all for your support and your donations. This temporary hiccup caused by a craven Board resigning without co-opting other Directors will soon be forgotten as we build support for the vital and noble principle of legal equality in a democracy. There is nothing wrong with the product. It just needs to be managed better.